Subsequently, and following sustained advocacy by human rights organizations for the Department of Homeland Security (DHS) to follow suit, Jeh Johnson announced that DHS will also review its continued reliance on private corporations. After all this controversy, one of the prison companies, the former Corrections Corporation of America’s (CCA), even changed its name to CoreCivic in an attempt to “rebrand” itself. 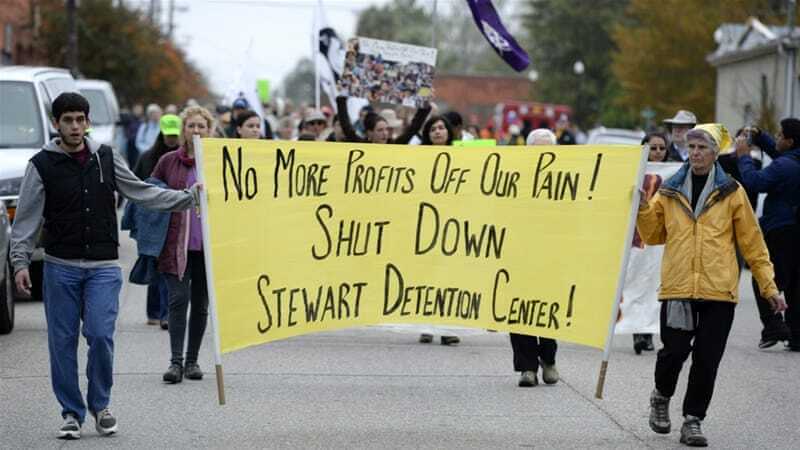 Locking up more immigrants, and expanding the private prison sector, would mean more taxpayer money spent on maintaining a failed system with a documented atrocious record of abuse, aimed at cutting corners to maximize profits and shortchange detained immigrants and workers. The founders, who were politically well-connected, took advantage of the harsher sentencing laws and the booming prison population, which surpassed the states’ designated budgets for building new prisons. The US first contracted with CCA in 1983 to house immigrants. In 1986, CCA went public, stating that it is more aptly suited to run large prisons because its use of electronic surveillance would mean that it can operate “with less staff than the public sector would have needed.” In fact, CCA and other prison corporations often present themselves as cost-effective alternatives to the public sector and claim that they generate benefits for local economies. Medina’s death could have been prevented were it not for the government’s negligence. An investigation following his death showed that the physician was systematically failing to conduct the required review of the medical examination information, thereby jeopardizing the health of the entire detained immigrant population. OPINION: US criminal justice system – Turning a profit on prison reform? One month after Medina died, the physician left and the facility (at the time, the largest immigration detention centre in the country) was left without any doctors for more than three years.